A group of international scientists and archeologists on a publicly funded dig discover a hidden city beneath the streets of Berlin. 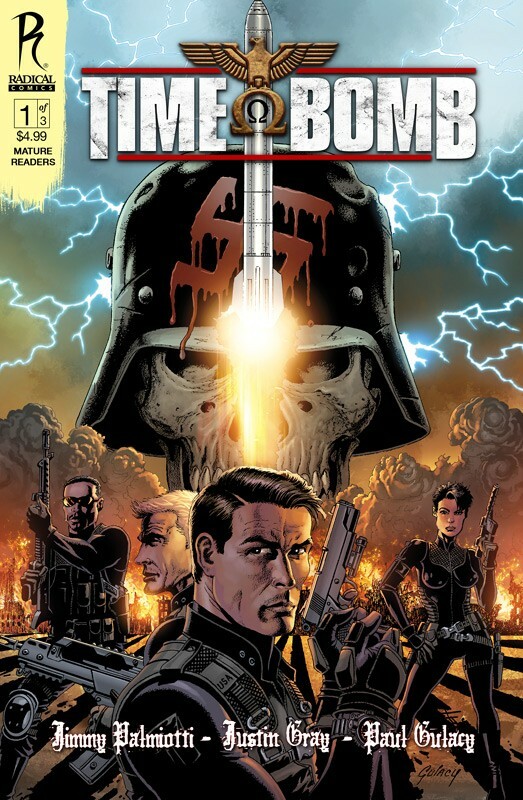 Constructed as a failsafe option for the Nazi party should they lose the war, the scientists and archeologists soon discover that the city is home to Hitler’s ultimate doomsday weapon… the Omega Bomb. With their discovery, they have found out the bomb has been activated. Back in the present day a new set scientists must find a way to travel back in time 24 hours to stop the bomb from going off. However, they soon discover that rather than going back in time for 24 hours as intended, they’ve been sent back 65 years to the height of Hitler’s Germany!